The possibilities are endless! 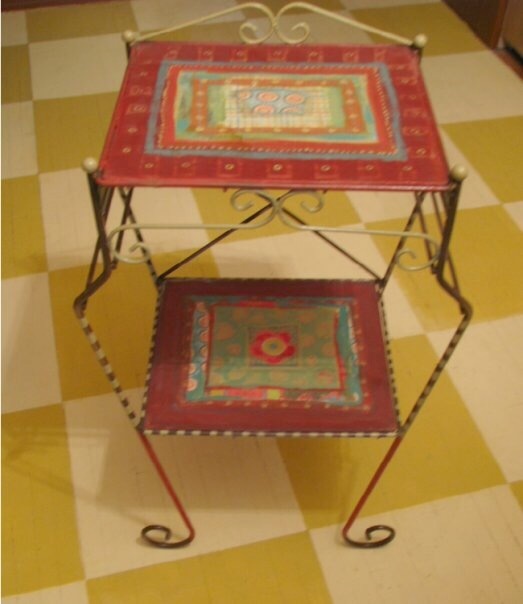 My upcycled art projects began when I started painting furniture. 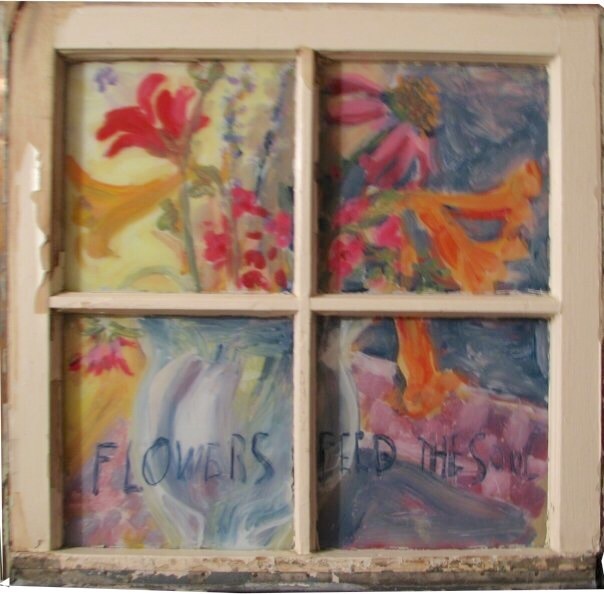 Then I acquired fifty vintage window panes and started experimenting with painting in reverse on the backside of the glass. I just convo’d you on etsy. Love your blog. And your bags are awesome!